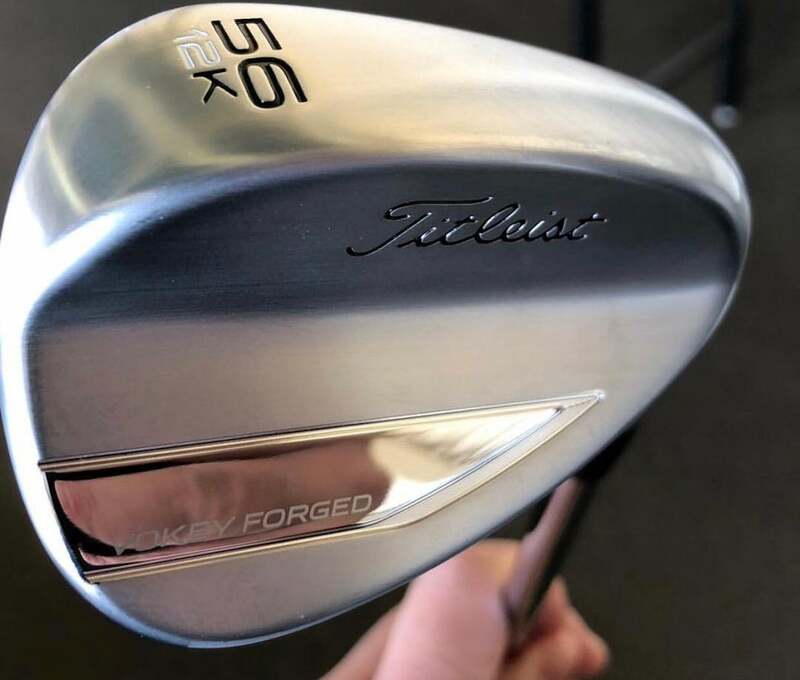 This a wedge year for Titleist, which means golfers should get their first look at Vokey SM8 (assuming it follows the same numbering) in the wild in about seven months. However, if you’re the impatient type, you actually don’t have to wait to score new Vokey wedges — but it’ll cost you. Titleist Japan has somewhat of a cult following in the States, even though the equipment manufacturer has every conceivable option available to golfers in North America. It’s basically a case of wanting what you can’t have. The JDM (Japanese Domestic Market) puts a premium on high-end forged materials and clean graphics that resonate abroad. In other words, these clubs don’t look like the ones at your local golf shop. The latest example is Titleist Japan’s Vokey Forged wedge, which is currently generating significant buzz in equipment circles. The head has a clean look with only the Titleist script and a high-polish chrome section visible on the back of the head. Until recently, only stock photos of the wedge were floating around the internet. They were sufficient. But thanks to a user on Instagram, who goes by the handle kenta_yamada0428, we have in-hand shots of the wedge. Titleist Japan's Vokey Forged from a different angle. Interested in picking one up? You have two options: Hop a flight to Japan and go all the way to pick them up (not advisable unless your disposable income is endless), or hop online and shell out roughly $250 for a single scoring club. To put that price into perspective, SM7 goes for $150 at retail. Like I mentioned at the outset, these wedges won’t be cheap. Of course, there’s a reason for the high price: According to online reports, Vokey Forged apparently goes through a co-forging process similar to what’s currently found inside the cavity of AP2, whereby high-density tungsten is positioned in the toe for MOI purposes. Tungsten and titanium inner weights are packed into the head to alter the CG location and flight. Vokey’s SM7 has a similar design throughout the entire loft range, but it’s visible on the back of the head. Concealing the technology means each Vokey Forged head has the same look, regardless of loft. It’s an intriguing design. And with it being released well in advance of SM8 in another part of the world, it makes you wonder if we’ll see anything similar here in the States. For now, you’ll have to make-do with Vokey Forged. Assuming you can find one.